Since September last year, Sara Ryan, operations manager at Junk Kouture, has been working full-time in Bank of Ireland’s office in the IFSC in Dublin – a move that epitomises the true collaborative nature of this partnership which has turned a small, local initiative into a nationwide programme. Bank of Ireland Junk Kouture encourages second-level students to create fashion designs and works of wearable art from junk that would normally go in the bin. 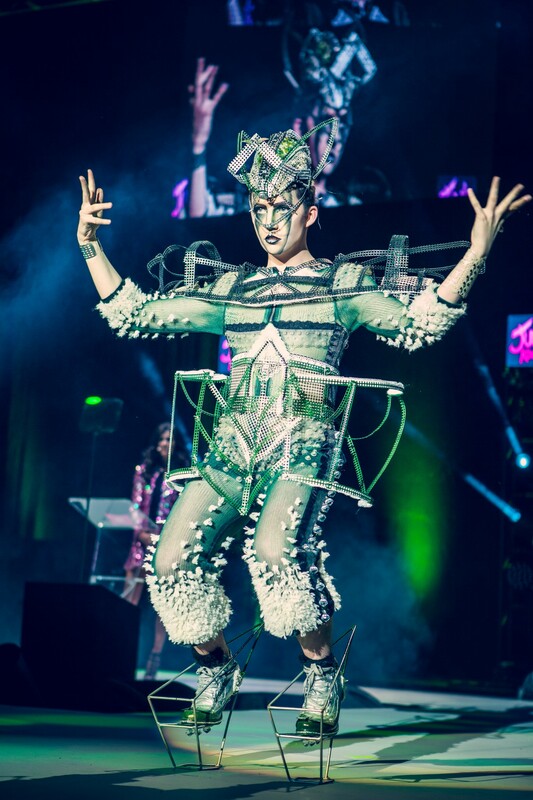 When Junk Kouture was founded by Troy Armour and Elizabeth O’Donnell in 2009, 100 students took part in the inaugural event in a hotel in Buncrana, Co Donegal. Bank of Ireland first sponsored the competition in 2011 and over the years the partnership has evolved with extra layers being added year on year. Now reaching over 60% of secondary schools on the island of Ireland, there were over 1,800 entries to this year’s competition and 6,500 people attended the sell-out grand finale events at the 3 Arena in Dublin last June. Armour and O’Donnell wanted to grow the concept but didn’t have the resources. Bank of Ireland had the answer – it could leverage its network of 280 branches to promote and support the competition and its team of 29 dedicated youth coordinators could visit schools and encourage them to enter. Having Ryan based at Bank of Ireland has made it easier for the partners to bounce ideas off each other and bring them to fruition. For example, they introduced online tutorials last year for the first time. These tutorials guide students on all aspects of the competition from the use of materials through to highlighting what different judges such as Louis Walsh and Una Healy look out for.